for the movie "Barbarella " 1968 directed by Roger Vadim. This illustration depends on one of the still photos for the movie "Barbarella " 1968 directed by Roger Vadim. The words "My Name Isn't Pretty-Pretty, It's Barbarella." were said to Anita Pallenberg acted as The Great Tyrant by Jane Fonda acted as Barbarella, because Anita Pallenberg acted as The Great Tyrant call her as "Pretty-Pretty". 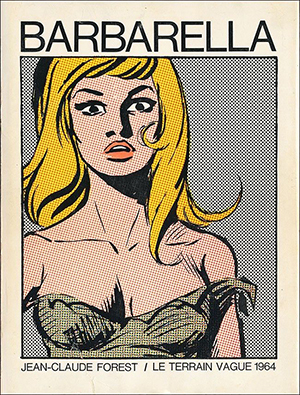 The movie"Barbarella " 1968 directed by Roger Vadim was based on the comic "Barbarella " 1962-1964 created by Jean-Claude Forest. 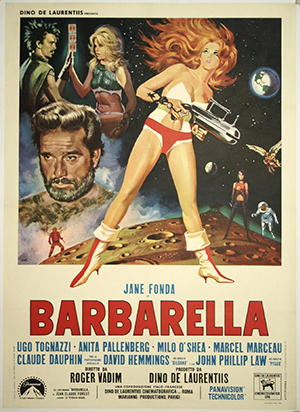 The musical "Barbarella" written by Dave Stewart was premiered in Vienna, Austria on 11 March 2004. In the musical Nina Proll acted as Barbarella. 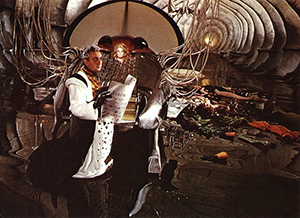 The name of Duran Duran, the band is taken from Milo O'Shea acted as Durand-Durand for the movie "Barbarella " 1968 directed by Roger Vadim.